District Heating has great potential as a future proof technology, with the UK Government increasingly keen to promote its use, encouraging local authorities to move forward with this technology by offering funding for feasibility studies. However, the Specification, Commercial and Domestic market were often unaware of all the features and benefits of this emerging technology. 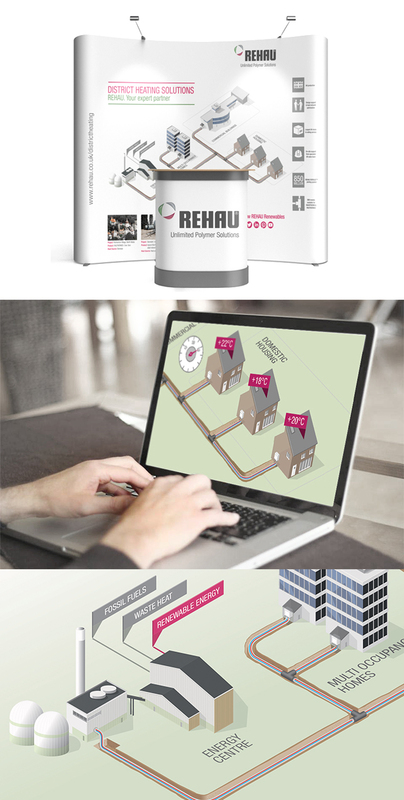 REHAU needed effective communication tools to relate the often complex technical messages to a range of audiences. Working within the corporate style guidelines, we developed an animation which explained the concept behind District Heating. The animation guides the viewer through each of the feature and benefit points, largely targeted to the Innovator and Early Adopter Specification market, in line with the funding available for feasibility studies. We created the entire animation, from concept creation, storyboarding, illustration and recording the voiceover. Supporting collateral was also produced in the form of a brochure and an exhibition pop-up to use at the Renewables Roadshow. 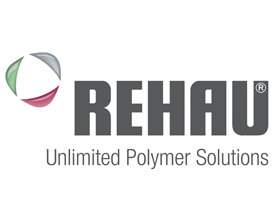 The animation continues to be used as a reference point within the Specification market, as well as a valuable promotional piece for REHAU. As this technology continues to grow in the Adoption and Early Majority phase, there is an ever increasing need to educate the wider audiences within the Commercial and Domestic markets. In the original planning phase, we had anticipated this requirement and therefore the messaging was intentionally designed to be as clear and simple as possible, removing the need to rework.